National currencies are problematic: they're sensitive to inflation, the governments behind them sometimes fail, and crooks have years of experience in pinching them from merchants. Unfortunately, they've historically been the only option – at least until the development of Bitcoin's open-source code in 2008. Though still a relatively new concept, digital currencies are starting to pop up everywhere, and are even making inroads in the iGaming industry. The Bitcoin system operates through a peer-to-peer (P2P) network that shares transaction information via a digital ledger called a block chain. This ledger, and indeed most cryptocurrency systems, function because individuals around the world use their hardware to 'mine' in exchange for currency. The mining process involves user computers performing calculations needed to generate advanced cryptographic mathematical proofs; these sums are used to confirm Bitcoin transactions, eliminating the need for a central bank. Bitcoin isn't technically stored. Rather, the currency functions via private keys that are mathematically related to Bitcoin addresses. These keys are kept in software called Bitcoin 'wallets', and iGamers who want to use Bitcoin for deposits and withdrawals must choose one of these programmes to make the switch. 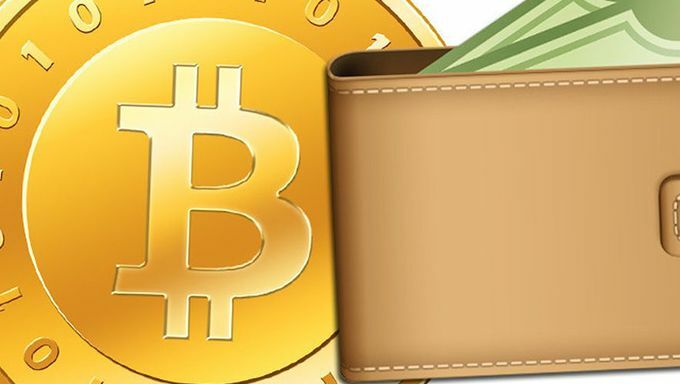 Bitcoin wallets are available in a number of different formats; they can be downloaded to Windows, Mac OS, or Linux desktops, or used on mobile devices running the Android, iOS and Windows Phone operating systems. There are also hardware wallet solutions that come in the form of USB thumb drives – these are widely regarded as one of the most secure ways to store Bitcoin addresses, while web-based services lie at the riskier end of the spectrum. Once a wallet has been set up, users can visit one of several Bitcoin exchanges to add funds (Bitcoin access codes) to their purse. While it is of course possible to 'mine' for Bitcoins, this process now requires specialised equipment and considerable CPU power. Given the system's focus on democratised and decentralised currency, it isn't surprising that users can buy Bitcoin from other users privately if they don't wish to go through a third-party exchange. Only a few specialised casinos such as BitCasino.io and FlutterClub accept Bitcoin at the moment, but it is likely that other major providers will follow suit in the near future. There are several good reasons why this is the case: bitcoins can be transferred in seconds without incurring transaction fees, making them much more attractive than PayPal or bank cards in this regard. While these advantages make gambling in Bitcoin seem like an obvious choice, there are a few points to consider when choosing a provider that accepts cryptocurrency. Firstly, while it's theoretically possible to use bitcoins with no processing charge, online gambling providers may ask for special fees to pay for security checks and general site upkeep. These security measures may also mean that Bitcoin transactions aren't as quick as they could be – though providers such as Bitcasino.io make 'anonymous' gambling part of their marketing, big players may well add extra steps to confirm who they're dealing with. It should be noted that e-wallet Neteller can no longer be used to make Bitcoin deposits and withdrawals on Bet365, as the company recently disabled most of its Bitcoin functionality following a deal with MasterCard. This is undoubtedly a setback for Bitcoin gambling, but is of little consequence given expanding acceptance of the currency across the board. It's exciting times for cryptocurrency advocates, as even traditional banking systems are starting to take digital tender seriously – check Gambling.com regularly to keep up to date on Bitcoin's progress in coming years.